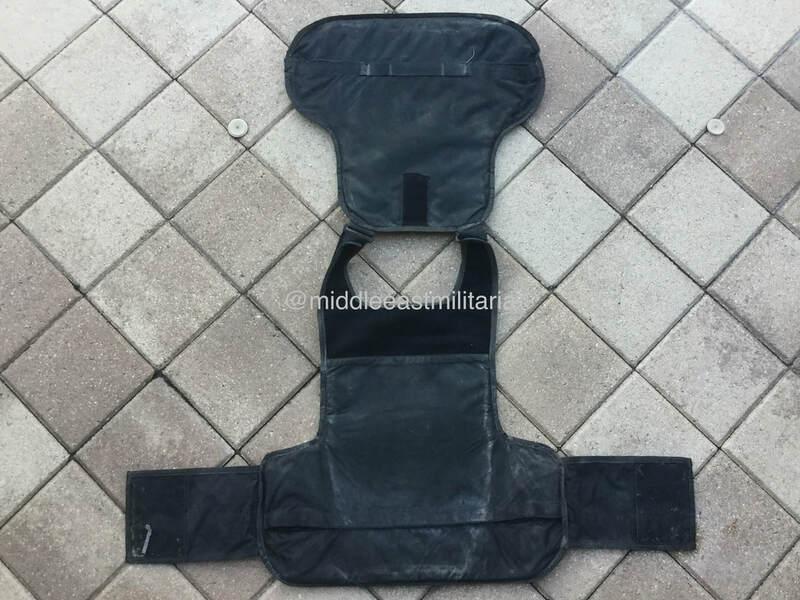 Here is a commonly seen vest used by the Iraqi army in training and in the field. 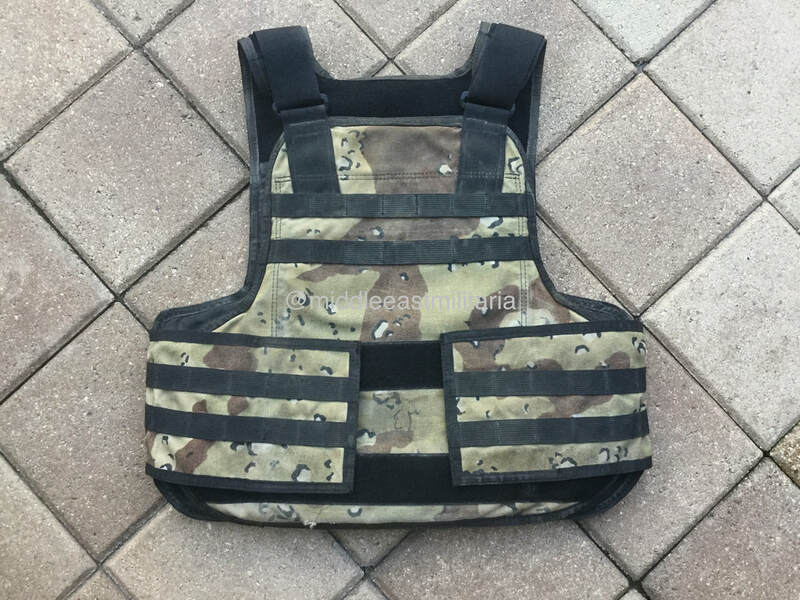 It has been confirmed that the manufacturer that supplies these vests to Iraq is First Choice Armour and they began doing so in 2005. 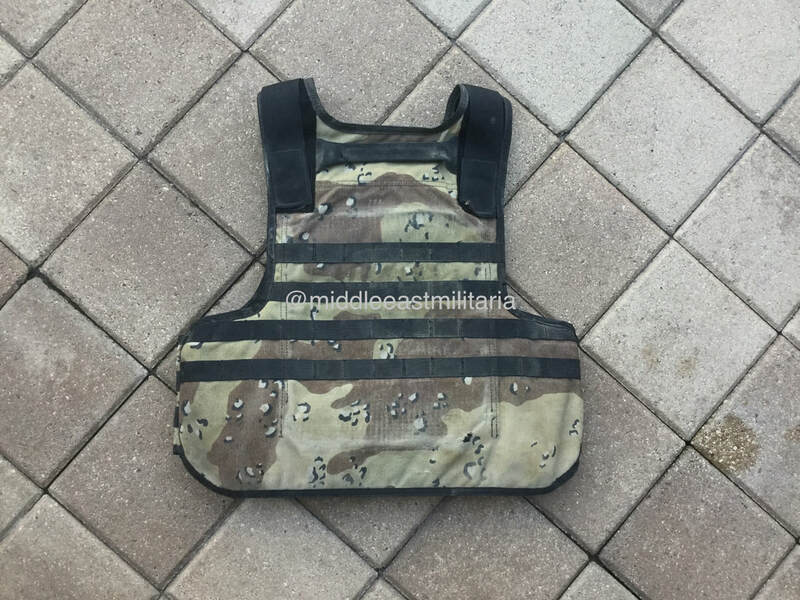 This particular vest is the 6 color camouflage version with soft panels. 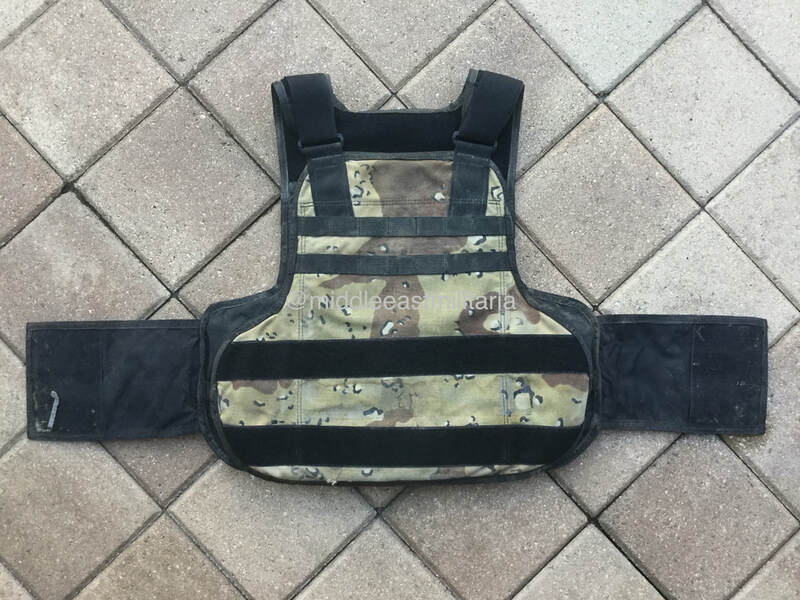 Black, blue, and tan examples of the same design are also seen in use with the Iraqi Police, Iraqi National Police and the Iraqi Army. The all black vest worn by a policeman in this photo.